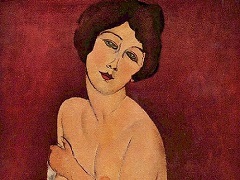 This painting, Portrait of Hanka Zborowska, also called Anna Zborowska, is one of the earliest in a long series of portraits that Modigliani painted of the wife of Leopold Zborowski. 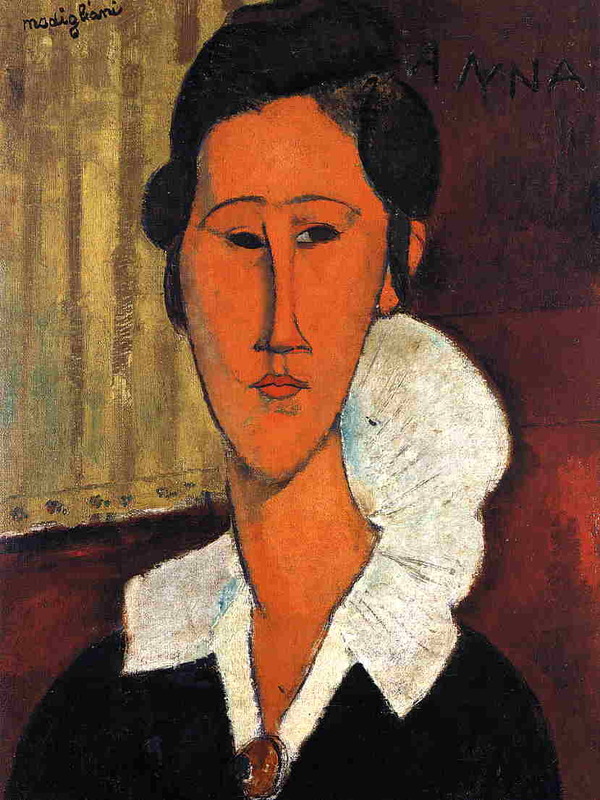 The Cubist influence is unmistakable in the asymmetrical treatment of the models features and in the peculiar representation of the fanned-out collar of her blouse. 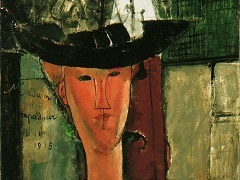 The artist's aim, to depict the living human form by using the most economical means, can be seen in the simplicity of this portrait with its mask-like face and black eyes. Subjective and wholly personal as those derogatory opinions are, we may well suspect them of being often founded not so much on an appraisal of the works themselves as on circumstances having no direct bearing on them. 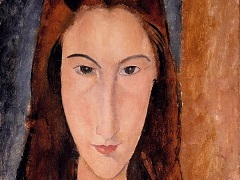 There has been, for example, an attempt to ascribe their special qualities to the fact that Modigliani was of Jewish descent.